I suppose you are right that I am looking for more guidance than you may offer but I am also interested in ways to protect myself with the oils, incenses, herbs etc... that you provide. I don't need to conjure anyone though, that's for sure. Sorry for not reading the headline more carefully. I am also curious if anyone in the community might have any insight or ideas. My advice would be to browse through the AIRR profiles and see who else can see spirits, and then see about booking some time with them for some magical coaching if they are willing. That way you can get personalized advice. I've been growing considerably more interested hoodoo and rootwork over the past few days. I've read the majority of the content of Hoodoo In Theory and Practice on this website. I live in Memphis, Tennessee, so I'm sure I'm in the area of some good hoodoo, how should I go about beginning a practice here? And what's a good basic list of items I should collect to begin? I suggest that you start by purchasing the book Hoodoo Herb and Root Magic by Catherine Yronwode, the owner of Lucky Mojo. Buy a hardcover copy if you can afford it. I was planning on buying a copy later today. I was just going to get a general idea in my head of what kind of different herbs, oils, various hoodoo paraphernalia, etc. would be good to get as a beginner. Your best bet before starting a practice is to apprentice with someone who has already been doing this for years, getting some hands-on experience. This is spiritual doctoring; you can read and listen and observe all you want, but when it comes to working on and helping people other than yourself you'll be in a better place to help them by getting some hands-on training. Lucky Mojo does offer an online course (I believe it lasts a year), and a follow up in-person course as well as meet-ups. Stocking up on cleansing and protection products and herbs would be a start- IMO they're one of the most important parts of laying down your foundation. http://www.herb-magic.com/ As well as cat's previously mentioned book detail the uses of these herbs. What's the easiest way to find someone to apprentice under? And I went out and bought a few oils and the Hoodoo Herb and Root Magic book. Is it not acceptable to teach yourself, or is it just something that isn't often done? Also, by practice I mean personal practice (to benefit myself, friends and family), not as a business. kyleskonjure, this forum is for Lucky Mojo customers and clients so any advice here will reference Lucky Mojo. With that said, miss cat offers an apprenticeship to graduates [in good standing] of her correspondence course. I am posting the correspondence course information (http://www.luckymojo.com/mojocourse.html) and apprenticeship information (http://www.luckymojo.com/apprenticeship.html). For some people an apprenticeship is easy if you have access to that, and many people learn differently. Now when you say rootwork practice, do you mean like a business or store? If you do, well I would say you need to have a journey of learning my friend before doing that. I would definitely get enrolled in the Hoodoo course BEFORE doing anything else. From my own story, I kind of went backwards before I even knew about the hoodoo course, and that is okay if you are reading and learning that way too. But you will have the solid foundation of hoodoo if you take the course first. I would begin by doing simple candle spells for yourself, and/or trying out spells from the HHRM book. Keeping a journal is key too. So you can keep track of your successes and failures (yes they happen to all of us). But the course is the best way to go , and there are a list of products you have to buy before you can actually enroll in the course. Not a business no, maybe in time, but that's all in the future. I mean a personal practice that will benefit mine as well as my family and friends lives. I would still begin with the Hoodoo course. Its a great way of learning things the right way and good foundation. The products you will buy for the course (even if you do not start the course at the time) will help you to become familiar with hoodoo. I would buy the HHRM book as well and learn the basics from the lucky mojo pages. www.luckymojo.com/hoodoo.html is a great place to start. jwmcclin wrote: kyleskonjure, this forum is for Lucky Mojo customers and clients so any advice here will reference Lucky Mojo. With that said, miss cat offers an apprenticeship to graduates [in good standing] of her correspondence course. I am posting the correspondence course information (http://www.luckymojo.com/mojocourse.html) and apprenticeship information (http://www.luckymojo.com/apprenticeship.html). Yeah, pretty much. I can only advise so far. That said, if you will it, you will find a way. The LM courses are one of those ways. Also take a look at their radio show on Blog Talk Radio, you will get a feel and a sense of how a variety of rootworkers work, and how they interpret and doctor problems. The first thing you ought to do, before even reading books, is to learn about our terminology and ways of talking. You started a thread called "Looking to Begin a Rootwork Practice," but when people here who actually do have rootwork practices gave you advice, you turned around and said you actually just want "a personal practice that will benefit mine as well as my family." So let's start with temrinology. What you were asking is "how to learn to practice rootwork," and not "how to start a rootwork practice." "A rootwork practice" is a professional case-load, generally conducted through a home office or shop, either for donations or for payment. "To practice rootwork" is to work according to the traditions of conjure to help yourself , family, and perhaps friends. * hire professionals to perform jobs for you which you can then learn to perform yourself. -- but those are not necessary steps. I'm really just getting into a concentrated study of hoodoo rootwork, and I'm also in the Memphis area. Drop me an email off list, if you want. Maybe we can talk about it. I'm just waiting on a few more supplies to arrive before I apply for Miss Cat's course. From what I've heard, it's the way to go if you really want to learn. And I can't say enough good things about Lucky Mojo products. Wow, thanks! Terminology is often an issue for me in day to day life because I have a strong center in etymology/english and I tend to make up my own words or turn my own phrases if I don't know the correct one off the top of my head. And DixieFlatline: that's awesome, I figured there had to be at least a good little concentration of Hoodoos in Memphis. When you do not have time-- find it. When you do not think there is enough money-- or money at all-- find it. Give from your heart like there is no tomorrow. Give to others unconditionally, set lights, do what you need to do and help people. Do it from your heart and expect nothing in return-- not even a thank you. Be Humble. Just help. This is a beautiful sentiment. Blessings to you, as well. I have to go to sleep, but I hope that this post reminds you (all) of why we are here. I am going to share several great testimonies about this post over the next few weeks. TheDixieFlatline you are GRAND. I like your compassion, YOUR VOICE, your knowledge, and I sincerely look forward to shaking your hand one day. Miss Tammie Lee, I thank you very much for the compliment. I also look forward to meeting you, some day. I eagerly await whatever else you will share. Here comes the first of many posts. Recently, a friend of mine died in a car crash. She had a child with a disability. I will never forget what he said to me a few short weeks ago, and I have worked in a funeral home and spoken to Mother's burring their son's even on Christmas Eve-- so I have seen it-- I have witnessed it. I dove in feet first with any free time, there is really no such thing-- as time is the biggest commodity in my life-- I dove right in anyway. Because time is my biggest commodity, I knew I needed help. You should NOT be surprised with who you meet here in The Forum. You really never know who you will meet! There are so many generous people who want to help children and causes. Help came in a heartbeat! If given permission, I will post who helped this cause, but many people and members of AIRR help children Thank God! We are part of a Grand friendship y'all. Yes the products are perfect, but the people and the Members of AIRR are Grand also! By the way, I worked Money Drawing, Attraction, and Crown of Success on all items up! I raised some money in just a few weeks-- and I did it because people CARED enough to help the kids!!! Dust your business cards and any and all information y'all!!! Draw the money to the cause!!! I am 46 yr old woman from the midwest who about 10 years ago became friends with a woman same age through our sons activities (she is from the coast). after becoming friends we started discovering strange similarities. Our birthdays are 1 month apart, ok, no biggie. We are both the 7th of 7 children, our fathers died the same year at a young age, our marriages have the same issues. Since then it seems that if something happens to 1 of us it soon happens to the other. Be it personal or work related (we don't work together). This year her beloved pet dog (age 13) developed diabetes , a month later mine also age 13 did the same. Hers went blind.....so did mine....... hers died tragically......mine followed. Can anyone give me a clue to all this? You titled your post "mischievous spirits," but I see no evidence of hag-riding, spiritual attack, or haunting in your account. You then re-titled your post"Have a friend who is like a twin sister." The two of you were born a month apart, so your astrological charts would look very different -- but there are planetary influences that persist for far longer than the sun signs (your "birth sign") that are so widely known. I'm not an astrologer myself, so I can't explain any better than that. If you want to investigate this on a spiritual level, book an appointment with a skilled diviner, such as the fine folks at AIRR. I changed the title of the post to reflect the topic, not the original poster. Sophia Mae, I believe you have been given a great gift, a friend who like a twin sister. Be thankful. There are traditions that say the seventh child has special gifts. Maybe the two of you can work together. I have done a few spells before- 1 or 2 have worked, but the majority of them not. How can I know if I am gifted for this sort of work or not. If I work hard and am diligent in spell work would my success rate improve? I am interested in taking this course, because I know how wonderfully knowledgeable Catherine Yronwode is and I love the subject, but I'm wondering if I can improve or if my level will always be hit or miss (missing more so than hitting). You may be gifted for some types of work but not others. Maybe you should try something simple that is more likely to happen. No matter what your skill level, you could probably benefit from the Course. What Mama Micki said -- and you may find a different magical tradition to be a better fit than the ones you have tried before, too. Keep investigating and experimenting -- and keep your common sense strong and sharp. I am putting together a spell to increase psychism and would like some advice, input, or tips. In my metal singing bowl I have combined flax seed, spearmint, passion flower, star anise, celery seed, bay leaf, dandelion root, tobacco and whiskey. I have also made a name paper with my written wish to increase my psychic ability for use in spell-work and life. I have left all of these ingredients, the paper, three drops of PSYCHIC VISION OIL and also a scarab talisman to "marinate" for lack of a better word and will set all things, in exception to the scarab, alight at night under the moon breathing in the sents and praying aloud my petition once more. Afterwards, whatever ash is left in the bowl I plan to rub into the scarab and keep it on me thereafter. Am I forgetting anything that could also aid in the success of this spell? Everyone's advice would be very much appreciated. Everything sounds fine except for the setting on fire in your singing bowl part. A singing bowl is a very finely-made item and could be damaged by fire, in my understanding. I second what Miss Cat has said. I would really invite you to consider using a fire proof container to burn all the herbs for this work. I personally feel compelled to do this type of work inside the body of a triangle of candles. I arrange three dark blue candles, dressed and carved appropriately, in a upward facing triangle, with the work inside of the candles. Sometimes I will connect the candles with Psychic Vision Sachet Powder, forming an actual triangle around the work. For me this greatly adds to the spellwork. Best of luck to you. Interestingly enough, I was told not to burn the items. I tried lighting my match twice and each time it immediately went out and the third time the items themselves wouldn't light. I was then given the idea at that moment to make it instead a bath. So that is what I did and afterwards cleaned my bowl and work area where I keep my herbs, oils and ritual items with the bath water. It was a successful bath I think seeing that the scarab itself became warm in my hands and carried an almost living energy to it during the spell. Next time I should remember that in a day trance I was told to name myself Mamaki (Dakini of Water) and shouldn't rely on old ways of thinking (usually with fire). I did this spell to increase my psychic ability the least I can do is listen better!!! That is great to hear! So interesting that doing/starting the work itself dictated you towards the bath. Very good work, indeed. Thank you for sharing and I hope to hear much more from you. Success!!! I am new to the forum and I could not find a topic similar to mine, so I am starting a new one. I have some natural "gifts". My great grandmother was the healer (curandera) of her town. Her daughter in law, my grandma, had also other powers, she had contact with spirits and he had several premonitions; she never use anything for other people, but her for herself and her family. She had very distinctive marks or her hands. In my case, I started experiencing things since I was a preteen; however, some of those things were very unpleasant and I became afraid. Since then, I decided to put my powers in an "internal box". I really don't know how to explain thins, but I put them away, nobody taught me anything, I just did it in my own way, I guess it was instinct. ( I haven't talk to anyone about this). After many many years, and after everything I have gone through in my life, I decided to embrace what I have but with a guidance. I am planning to take some of the workshops in May, specially the one about developing your personal formula. Is there anything else that you recommend for me? I am very "rusty" right now, what I have is still there, I cannot explain it very well in here, but I want to open myself to it again, just to protect myself and the ones I love. You might try Master Key supplies, for developing one's spiritual gifts. Welcome, Gabriela! Welcome to the forums, Gabriela! 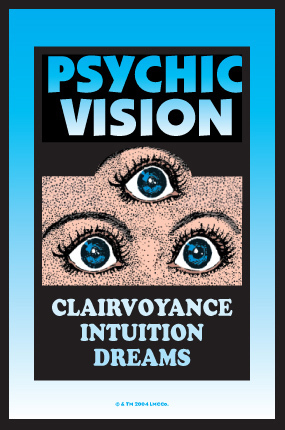 In addition to Mama Micki's great suggestion of Mastery Key supplies, you might also consider the Psychic Vision line. The Psychic Vision Spell Kit in particular is a great way of working for psychic and spiritual development and mastery. Like many of the spell kits, it culminates with the creation of a mojo bag. Thank you very much for your replies. DO I get the supplies at the Lucky Mojo? I will check their catalog. Hello Gabriela, and welcome to the forums. 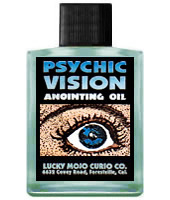 I LOVE the combination of Master Key and Psychic Vision Oils for doing the kind of unlocking that you are seeking, Yes, you can order all of those products (and so much more) from Lucky Mojo, as this is the Lucky Mojo Curio Company products recommendation and uses message board. The psychic oil is really strong! I use this oil at night right before sleeping to find questions to answers, enhance my lucid dreaming, or contact spirits. The first time I used this oil was while doing a reading, which I found out later by a friend was accurate. After the reading I went straight to work. During my lunch break, a man walking past my co-workers and I accidently dropped a quarter on the floor and kept on walking. For some strange reason I thought “this quarter was made in the year I was born” and I walked towards it to pick it up (I was at a distance where it was impossible to see the date). I had actually said that out loud too and my co-workers heard. Lo and behold, after I picked it up I was right. I freaked out my co-workers! Even stranger I had been looking for a quarter of my birth year with no luck the day before to use in a mojo bag. What an amazing experience that must of been! The Psychic Vision Products is one of my favorite product line and it smells heavenly! Thank you for sharing your experience with us. I also have a question about being gifted for the work. Awhile ago, I got a wonderful and accurate email reading from ConjureMan Ali regarding various things...one of them being my gifts and abilities (and yes, folks, the man is AWESOME!). I was told that I am gifted for the work, especially in love (which is actually an area of the work that I can't seem to get to work out my way, probably due to the possibility that there are too many of the "wrong" types of men around and the "right" types of men are nowhere to be "pulled" or attracted to me in the first place), and I am also able to help and empower women, as well as being able to sense energies and shifts in these energies. I also have the gift of knowing. That being said, I was wondering if since the gift of conjure comes from God, (and I must admit that this question may sound a bit juvenile, at best, and if so, I apologize), does God choose who to bless these gifts upon? I ask because in trying to understand spiritual gifts, I wonder if any of us who are blessed with the gift of conjure were "chosen" or "picked", as I am aware that some of us who work within magical systems and spiritual traditions are gifted, and some of us are not gifted. An example of this is that my cousin, a Wiccan, has cast many spells and ONLY ONE has ever manifested, and this is out of the many spells she has cast over the 10 or so years she has been practicing. I understand that Wiccan spells are different from conjure, so I am in no way implying that the two are the same. But I bring this point up because in the beginning of my magical journey, I had also started out Wiccan, and at that time, I was able to cast Wiccan spells most naturally while learning, whereas she was not. And now, working with conjure, I find that I am also gifted for conjure, but she is not. (Its like my gifts can "cross-over" from one magical system into another, since I've had success in both Wicca in the past and conjure in the present). But I'm brought back to my original question: does being gifted for the work (as it is known in hoodoo and conjure as a gift presented by God), mean that one was "chosen" to have it? Again, I ask because not everyone who practices a spiritual tradition or works within a magical system is successful or gifted for the work, and I was wondering if those of us who are gifted for the work, were then chosen (if appropriate to say) by God to have these gifts of spirit. I apologize if this question offends anyone or sounds inappropriate, as these were not my intentions. Spiritual skills and gifts are like those of a more mundane nature, such as cooking. Some people can make an elaborate dinner with no apparent effort; some can barely boil water, but can learn to make some simple meals. Most people can cleanse their houses and bodies, but many have trouble with more involved spiritual work. I believe that God gives people gifts and abilities (1 Corinthians 12) and favors certain individuals such as David and Daniel in the Bible. Ok, so in the Bible, Daniel was a prophet, and so, he was apparently favored by God and blessed with this gift. With that, I think I understand what you're saying (please correct me if I am indeed incorrect). I think what you're saying is that those of us who are either able to work with conjure or other magical systems do possess the ability to learn a bit more and work with it successfully, but those of us who are gifted with such abilities such as "knowing" and other gifts of spirit were indeed favored by god to receive them? Many flawed people in the Bible were favored by God, including Jacob, Moses, Rahab, Ruth, David, Peter, and Paul. Each had his or her gift, which God used for His purpose. His ways are not our ways. Thanks, Mama Micki. I guess I can just see it as God blessing me and others with our gifts that he knew we would be able to utilize in this lifetime. Thanks, again. First of all I would like to say thanks to luckymojo and everyone that takes the time to answer questions and to Miss Cat for creating this website! Within the past year I only read posts from the forum and never really tried any of the spells. I also purchased a truckload of oils and spell kits which I never used because I wasn't quite confident enough. To make this as short as possible, I have found quite a couple spells in the forum which I have used and I am very proud to say I have had 100% success with so far. Those include breaking up people with a brown paper and smearing feces on, (they broke up withing a month or less), anointing a come to me candle for an ex to come see me (which he called about a week after and confirmed his trip to see me in a week time), and my last spell I did was a week ago I started a honey jar and did a skull candle on my ex, started on Monday and by Thursday we were in talks to see each other, and I had no biological items from him, only a name paper and picture. I know those are not enough reasons to want to become a Rootworker but apart from that I also dream things that happen, and I've always had an interest in Rootwork just wasn't sure where to start. My question is, does anyone have any advice on what my next step should be if I wanted to become a Rootworker? It sounds like you can do some of the work, which is a good start. Doing work for people you know is another good way to stretch out and test what you're capable of. I'd recommend you get a reading on the subject, as well. You could either book a session with a member pf AIRR, or call into the Lucky Mojo Hoodoo Rootwork Hour. A lot of people (including me) got their push towards going pro with a reading on the show. Thank you for the advice Dr. Hobb! I'm actually excited about the way my first spell and first candle i burned turned out and ill definitely sign up for next weeks show! affie, Doctor Hob gave you relevant advice. I would also consider taking cat's course (http://www.luckymojo.com/mojocourse.html) and go from there. *smacks head* I absolutely agree, and can't believe I didn't mention it. You should very seriously consider taking the course. I have had wonderful success casting spells in the past and especially now since discovering Lucky Mojo! I am curious as to how other practitioners cultivate their powers? I'm a newbie myself but from what I've gathered, knowledge is not nearly enough in order to cast a successful spell. One needs the proper tools, supplies, and most importantly--intense concentration, emotion, and energy. How does one develop these skills? I've learned that meditation helps with concentration and exercise with energy. I've found that music helps me with the emotional component. Is anyone willing to share any other tips and tricks? I was thinking of using Master Key and Power supplies to enhance my personal power as well, has anyone had any experience with these? Isolte wrote: Is anyone willing to share any other tips and tricks? I'm not sure this is exactly an Ethics question, but this is the closest category I could find. Could someone explain to me why I have a lot of trouble obtaining "good" things for myself with magick, but on the occasions when I throw out negative energy or curse someone, it works like a nuclear bomb? I am just amazed at the power that comes out of me in those cases. I often regret the amount of harm that comes to the victim. Why is it so hard for me to obtain blessings for myself, but so easy for me to curse others? I would so much rather have it the other way around. Has anyone here seen this kind of thing happen before? Sillver9 wrote: Could someone explain to me why I have a lot of trouble obtaining "good" things for myself with magick, but on the occasions when I throw out negative energy or curse someone, it works like a nuclear bomb? I am just amazed at the power that comes out of me in those cases. I often regret the amount of harm that comes to the victim. Why is it so hard for me to obtain blessings for myself, but so easy for me to curse others? I would so much rather have it the other way around. Has anyone here seen this kind of thing happen before? It looks like you have a strong gift for cursing work -- and sometimes it is justified. Rather than rejecting this gift, pray over it and ask God to help you confine it to justified work. Spiritually gifted people generally are not gifted for everything, just as you wouldn't expect your cardiologist to do your taxes. If you are really not gifted for any kind of blessing work, well -- you can always hire a rootworker to help you with that. Sillver9, You might also find that you are gifted for specific blessing work. Maybe healing isn't your natural talent, but love is, or uncrossing, or money, etc. There are many different ways that one can be gifted in blessing. Maybe it's time to test specific types of blessings and see where you get the best results. I have experienced several "6th sense" situations my whole life. I get hunches, dreams, I hear things, you name it. I know sometimes when someones getting ready to call me or talk about me. I have even asked if someone was gonna answer the door because I heard knocking when no one else heard it and as soon as they say they dont hear anything the doorbell rings. It stil scares me sometimes how I can look at someone and swear I know them but I have never met thwm. One guy saw me and stared at me with the blankest stare I have ever seen. I couldve sworn I knew him but couldnt place his face. He just stared at me for a very long time and it made me uncomfortable but I couldnt stop looking at him but I nevr said anything. Now fast forward about 6 months later and he just pops up on my mind again. I DO NOT KNOW WHO THIS IS! I just cant get him off my mind and I feel like I know him...AND he popped up on my mind only after I started a Blockbuster vigil the other day for something and someone totally different. Could this have anything to do with it and how do I find out who this is because whoever this is will not leave my mind now. Thank you Miss Aida. I will do this as soon as possible. Hi all..... I just had a reading on the lucky mojo radio show and also with another reader from Airr, and during the readings, it was pointed out that I have "gifts" to be a root worker/reader. I don't quite know how to process this information, and not sure where to start. Where should I start if I want to know more about hoodoo ect? Understand that I don't have full privacy in my home to practice much spells ect but if I want to take baby steps toward becoming more knowledgeable where should I start and which books would anyone recommend? Thank you all for your input in advance.